In just over a year, Malta’s first crowd-funding platform Zaar has managed to raise more than €90,000 for 32 different projects by sourcing contributions from members of the public. “We’ve had a 63 per cent success rate, meaning that nearly two-thirds of the closed projects were successful in reaching their target. This is well above the industry standard worldwide,” Zaar manager Matthew Caruana told this paper. He remarks that the company saw a 300 per cent growth in funds raised between the first four months of 2016 and this year, as the idea of putting money behind an idea continues to gain traction. Zaar initiative was launched as collaboration between the Malta Business Bureau and the University of Malta. It has made headlines over the past year for helping fund philantropic initiatives including a cabin for patients at Mater Dei Hospital where they can hang out with their pets while they’re in recovery, XFM Radio’s charity drive and Murphy, a marathon runner who runs for Hospice Malta in a pink morphsuit. However, apart from donation-based crowd-funding, the company is operating a reward-based system of crowd-funding which can be used for more entrepreneurial initiatives including start-ups and business enterprises. “A new start-up can hold a crowd-funding campaign on Zaar and offer rewards such as pre-sale items and early bird offers to entice donors,” Mr Caruana says. Besides raising working capital before expenses, entrepreneurs who carry out crowd-funding projects successfully have the benefit of engaging loyal customers, getting market validation for their ideas, while at the same time promoting and marketing their company. Yet this kind of crowd-funding has its own limitations. Many backers and would-be investors would prefer to stake a decent sum of money and get equity within a new venture that they believe in, rather than promotional items or discounts in exchange for a smaller amount of cash. Mr Caruana knows this, and says that the company has been advocating from the beginning of its existence for the introduction of a regulatory framework for investment-based and lending-based crowd-funding, which does not exist at the moment. 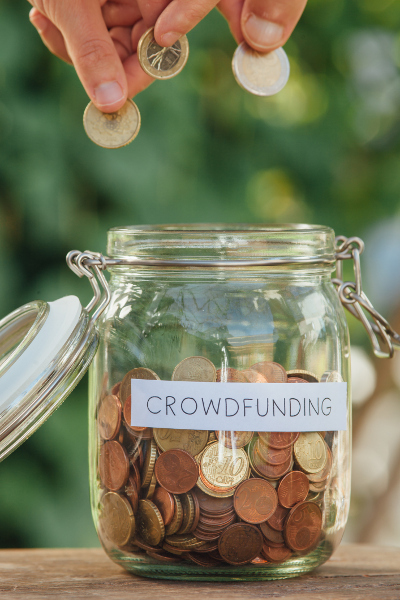 “Crowd-funding is an excellent source of pre-seed and seed capital loans and can be used to provide for ideas and businesses where other traditional financial instruments typically fail. It can fill in the funding gap after personal and family funding and before the business becomes bankable or attractive to business angels. In 2015, over €2.3 billion worth of capital were used using crowd-funding in Europe. At the moment, because equity and loan-based crowd-funding is not available, we are limiting the number and type of projects that can benefit from crowd-funding advantages,” Mr Caruana says. Zaar’s advocacy led the Malta Financial Services Authority (MFSA) to issue a discussion paper on this matter last November. The paper closed in March 2017. “We have also organised a stakeholders’ discussion meeting which was very well attended. I was informed that a number of stakeholders submitted their feedback and replies to MFSA and now MFSA will be evaluating this feedback and will be working to establish this framework.” The urgency of having the framework is in place is apparent – not only will Maltese entrepreneurs find themselves back on an equal footing with their European counterparts, but Malta will save its best and most talented from taking their bright ideas to other platforms in jurisdictions where such funding systems are already in place.